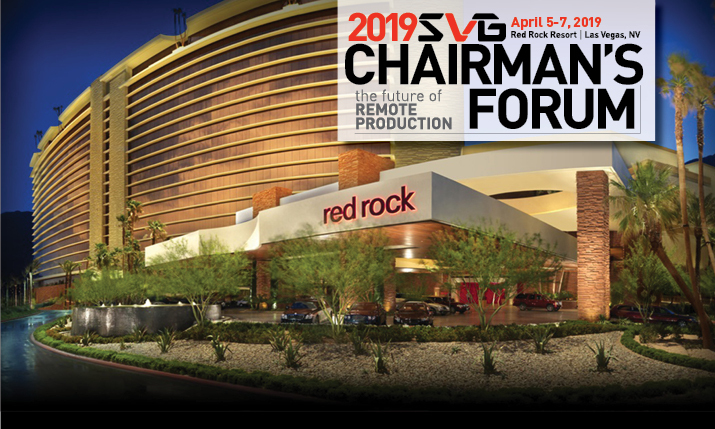 SVG’s 2019 Chairman’s Forum featured an expanded offering of workshops, one-on-one conversations with industry leaders, roundtable discussions, and networking. Bringing together sports production professionals from around the globe, it is one of the few events that provides a true global perspective, ensuring that attendees will walk away with new ways to approach their operations and career development. 4:30 – 5:00 p.m.: SVG Content Security Work Group Update: Is it Safe? This is an invitation-only event open to qualified end-users, SVG Platinum sponsors, Mobile/Integrator sponsors, and SVG sponsors who sponsor at the Chairman’s Forum. Please email Andrew Lippe at [email protected] to attend. If you aren’t hitting the links don’t worry: we have you covered. Join us for a relaxing breakfast buffet at the Red Rock Casino Resort. 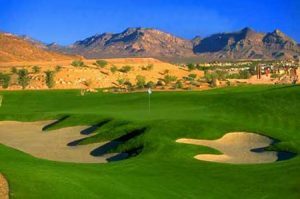 Non-golfers are entitled to a complimentary spa treatment at the Red Rock Casino Resort. Please note that space is limited and spa guests must first be approved by SVG membership services prior to booking their appointment. The afternoon’s activities begin with a networking lunch at the Red Rock Casino Resort. SVG Advisory Chairman Tom Sahara takes to the stage to kick things off and introduce this year’s opening keynote presenter. Josh Stinehour, principal analyst with Devoncroft Partners, takes to the stage to offer up Devoncroft’s latest research of the broadcast manufacturing community, the health of the broadcast business, and the potential for new revenue streams during this always lively presentation. IP is here, and now we are seeing best of breed systems deployed with open IP standards in use. A short overview of the new Mobile TV Group 45 FLEX truck that will be on display at NAB2019. There are a number of tier-one rights owners, service providers, and broadcasters who are looking to collectively map out future roadmaps that rely heavily on virtualized hardware. The problem? The move can’t happen if the traditional hardware providers aren’t willing to make the move as well. Before everyone heads to the NAB show floor our goal will be to debate the promise of virtualization and what it will take to get hardware manufacturers focused on R&D and product development that will truly transform the business of broadcast production. This open forum is a workshop for those specializing in sports video in a live streaming, digital platform, and/or social media environment. Overseen by the SVG Digital Advisory Committee, experts in the field from networks, leagues, and digital publishers will have closed-door discussions on major challenges and opportunities facing the “digital” side of the sports video industry, while also establishing further direction of SVG’s involvement in the space. NBC Sports Group delivered 4K HDR coverage with Dolby Atmos of every University of Notre Dame football 2018 season home game to DirecTV Customers. Then, Dome Productions did the same for the Toronto Raptors home games. Is this the way forward for North American live sports coverage to bring home the sights and sounds of the game? This presentation summarizes the experiences of first generation 4K UHD field lenses that spurred the design criteria of two second generation lenses. Those criteria are described and video clips will show real-world tests that reveal the advances that were achieved. The presenters will discuss those tests. Network and content security are a growing concern across the industry and the SVG Content Security Work Group has been created to strengthen the processes by which content is protected throughout the lifecycle of production, distribution, and archiving. Learn more about what the group has accomplished and how you can get involved! 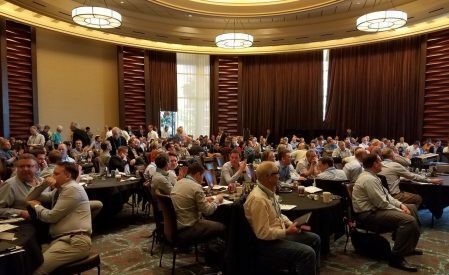 The 2018 Chairman’s Forum concludes with two hours of breakout sessions. When do AI and Machine Learning systems makes sense for your operation and your ROI? When don’t they? Do you plan on making a long-term commitment to LTO storage in the future and/or are you exploring using cloud as an alternative for your Archive? How can broadcast vendors from throughout the ecosystem work together to make MAM adoption easier and workflows more transparent for users? Are you exploring NVME technology and next-gen solid state devices for storage at scale and how do you balance their advantages with higher costs? Too much! Do we really need to archive and log as much as we do or is it making work for the sake of making work? The 2019 Rugby World Cup, to be held in Japan from September to November, will take advantage of IP technology to create new ways to handle master control operations and more. Production executives involved with the project discuss their philosophy, technical approach, and more. This use case will be based on the 80-camera remote production Swedish Television (SvT) did together with Infront as a host broadcaster for the Alpine World Championships this spring, producing more than 600 hours of live content over two weeks. It was a true remote production 2.0 set-up with uncompressed IP video, audio, and data sent between the event and to Stockholm (approximately 500 miles apart). Increasingly OTT services are opening up new ways for sports production professionals, networks, leagues, and teams to find an outlet for new forms of content. Dedicated cameras, enhanced statistical feeds, and even separate commentary options are becoming a reality. Professionals from both the digital and production disciplines take to the stage to discuss the growing influence digital outlets have on production efforts and why they matter. SVG will host the Sports Broadcasting Fund Golf Tournament on Saturday, April 6 at Bear’s Best Golf Course in Las Vegas, NV. Bear’s Best Las Vegas is a unique golf course made up of 18 holes hand selected by Jack Nicklaus from his 270 designs worldwide. This high-end daily fee course includes manicured bent grass greens, challenging designs, and immaculate fairway/tee complexes. This is an invitation-only event open to qualified end users, SVG Platinum sponsors, Mobile/Integrator sponsors, and SVG sponsors who sponsor at the Chairman’s Forum. For information on sponsoring the Chairman’s Forum, CLICK HERE. To apply for registration, email Andrew Lippe at [email protected]. Dome Productions Sr. Advisor, Sales & Business Development.